"Love the home you live in now." Get some pretty decor on your walls with this simple, short, and action-packed course! Join the creative community that's taking aesthetic style to new levels. There's no limit to what you can create! A FREE, fun, and friendly Facebook Community dedicated to buying less and decorating smarter. 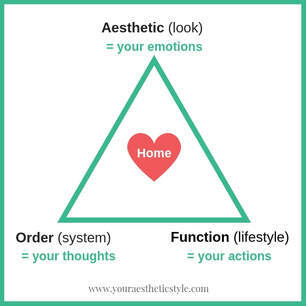 Creating a home you LOVE is all about knowing yourself! Give your home a new look using what you already have! You'll have a pulled together and stylish space right away! See your home with new appreciation and display the things you love.